Chinatown is definitely worth a visit for tourists who wish for a glimpse into Singapore’s past and for locals keen to rediscover some of the island’s hidden gems. Enjoy an insightful visit with our a guide to Chinatown! Chinatown is a popular district in Singapore for its historical and cultural significance, although the original landscape has been transformed by modern additions to attract tourists. Perhaps this is why the area is known by locals as the “Official Chinatown” for visitors, while the authentic “People’s Chinatown” can be found in Geylang. In 1822, the British declared the southwest area of the Singapore River as the official neighbourhood district of the ethnic Chinese population, and Chinatown was born. Although the colonial rulers have long gone, this historic district still has an eclectic mix of old and new. You will find traditional markets alongside cool, hip cafes. Our guide to Chinatown will explore the best of both! Step out of the “tourist zone” and into a more authentic Chinatown experience at Kreta Ayer Square, where old local folk gather to play Chinese chess or practice tai chi. This public courtyard behind the Buddha Tooth Relic Temple & Museum gives the feeling of a laid-back community, you’ll see Singaporean elderly from all races and backgrounds coming together to play, watch or just chat. Although this sight was common in the old days, it unfortunately is harder to find today. During festive seasons, the place is lit up at night with free live ‘getai’ performances, a type of song and dance concert unique to Chinese communities in Southeast Asia. 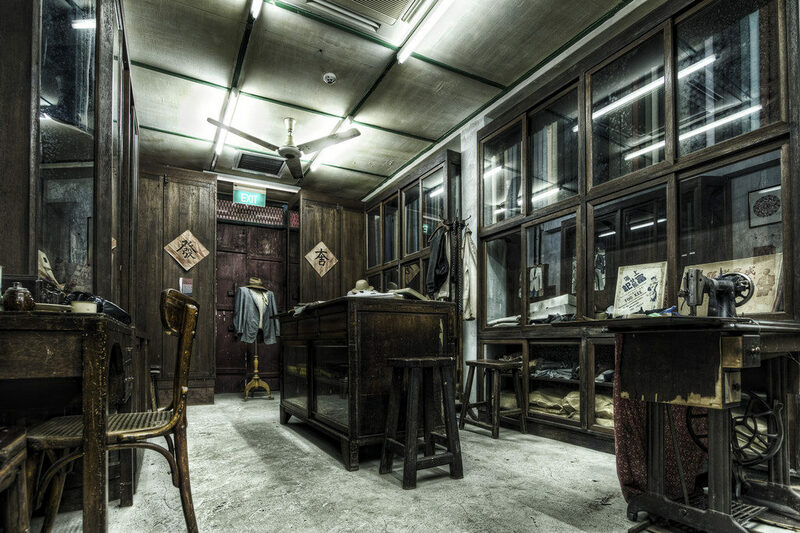 Step into the original interior of three shophouses from the 1950s! While the majority of Singapore’s colourful shophouses have now been converted into stores, restaurants or backpacker hostels, the Chinatown Heritage Centre is the only place in the country that offers a glimpse into the lives of Singapore’s early residents. Join guided tours to learn about the rich history and culture of this district. 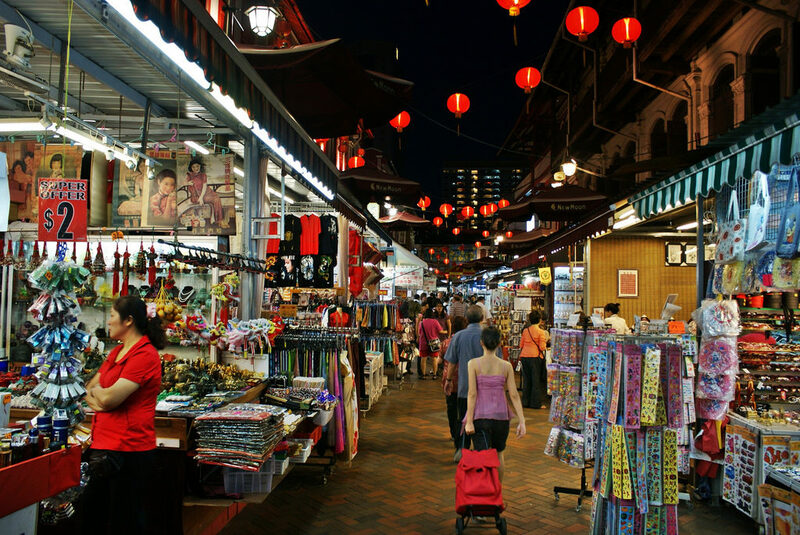 From Singaporean-themed souvenirs and traditional Chinese clothing to Star Wars luggage tags and squawking toy chickens, Chinatown’s streets sell pretty much everything you can think of. We suggest going for the cheeky $10 for 3 Singaporean t-shirts, with local sayings like “Singapore is a FINE city”or jokes that only people who have visited will understand. For a more personalised souvenir gift, get your name painted and framed in Chinese calligraphy or buy a custom-designed Chinese paper cutting artwork. Also look out for The Tintin Shop selling all merchandise from this popular comic series, including authentic Belgian beer at their outdoor deck cafe. Every Sunday from 11am to 6pm, China Square Central comes alive with their air-conditioned flea market and is one of the 5 flea markets we recommend you to visit! With more than 60 vendors every weekend selling everything from stamps to antique pieces, you’re bound to find something to take home. Look out for decorative Chinese and Peranakan ceramic ware, great for meals at home or as gifts for loved ones. On other days of the week, this 15-storey complex is worth visiting if you’re looking for novelty games or collectible toys. For those of you who are into handicraft projects or upcycling clothing, People’s Park Complex is your one-stop shop for all your haberdashery needs. Stop by Golden Dragon (#02-51) and Shinobeads (#02-56A), selling everything from yarn to purse frames and quilting tools. Ann Siang Road is famous for its bohemian vibe and hipster cafes and bars, but also for their boutiques and niche stores catered to shoppers who have an appreciation for independent brands. Make a stop at boutique store Front Row that sells fashion collections by local designers (unfortunately, Front Row had to close shop as the owner, Ann, moved to the United Stated. More about the move here). Eat like the locals at Singapore’s largest hawker centre with over 260 food stalls! The tables are colour coded and numbered to help you find your way around this food maze. Every popular local dish you can think of is served here, and prices are cheap as there are so many stalls competing for business. 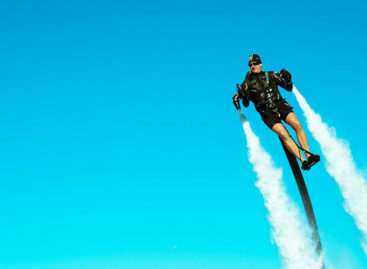 With so many options, you’re bound to find something you like. A must-try is the Cantonese steamed fish head, large enough to feed a family but is priced at only $13. This dish is sold by many stalls, with Seng Kee 119 at #02-190 having the longest line! The fresh fish meat is soft and tender and sits in a tangy, slightly spicy hot sauce- a flavor that is the hallmark of Southeast Asian cuisine. Relax and unwind at this air-conditioned food street featuring traditional food stalls lined up between old shophouses. It offers all the signature local dishes, but is best for a light snack or dessert. Stick with the Food Centre for more substantial meals. Having served the same homemade local-style breakfast in Chinatown since 1939, this is arguably Singapore’s most iconic traditional coffee shop. Tong Ah Eating House was located for decades at the classic white and red curved building at the junction of Teck Lim and Keong Saik road, until Potato Head Folk took over in 2014. Lucky for us, Tong Ah moved right across the street! Be sure to ask for their ‘super crispy kaya toast’ where the bread is toasted not once, not twice, but three times! After being cooked over a slow fire for 10 hours, their homemade kaya coconut jam is generously spread on the crispy slices. Pair this with their signature Singaporean butter coffee. This involves dunking a slab of butter in the coffee in place of milk,to give it a creamier, more sinful but more delicious taste. Located in the iconic building where the Tong Ah Eating House used to be, Three Buns at Potato Head Folk is a hipster joint that brings the laid-back vibes straight from its original ‘Potato Head Beach Club’ franchise from Bali. Not for the health-conscious, the menu covers the most sinful but delicious comfort food. We recommend going for the Baby Huey Burger, which has a thick, juicy beef patty oozing with spiced mayo and a “Notorious T.O.M. Sauce” (homemade ketchup spiced with star anise), and their Naughty Fries – a gravy of hot beef chilli and parmesan is poured generously over thick strips of potato. What started off in the 1920’s as a pushcart business has now evolved into a glass-front shop known as the go-to place for egg tarts. Everyone has a different reason for loving their signature diamond-shaped custard treats! We love them for their unique pastry base, which is flaky on top and then buttery and crumbly as you bite deeper in- a mix of Portuguese and Chinese styles. Best for dessert or an afternoon snack, Tong Heng Confectionary sells a variety of Chinese snacks – we recommend the ‘char siew crispy cakes’ and ‘wife biscuits’, which are flaky on the outside but sweet and moist on the inside. 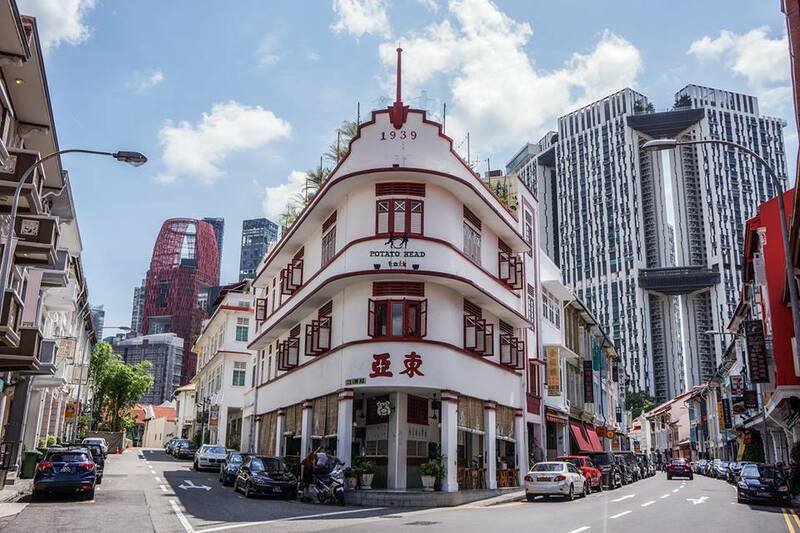 Occupying three large shophouses but still packed with visitors lining up onto the streets, it’s no wonder Mei Heong Yuan is awarded one of the “Singapore Chinatown Heritage Brands”. Their menu boasts over 45 chilled and hot Chinese desserts, but is most famous for their signature ‘snow ice’ creations, a Taiwanese delicacy of soft, thin snow-like sheets layered into a mountain-like heap. Perfect for cooling down on a hot day! We recommend the chendol flavour because it is unique to Southeast Asia, made from coconut milk, palm sugar and covered in red beans and green rice jellies. When in Singapore, you must try the local seafood special – the chilli crab. Described by Lonely Planet as having the “island’s best chilli crab”, Momma Kong’s version of this delicacy verges more on the sweet and tangy side to suit guests who are not accustomed to eating spicy food. We also love their tofu chips, which are dipped in their homemade sambal belacan sauce that tastes like a sour and spicy blend of Southeast Asian flavors. True to its name, this hawker stall at Chinatown Complex is dedicated to selling good bottled beers and ciders from all around the world. Talk to the owner Daniel Goh and he’ll recommend beer pairings with your hawker dish! Be sure to try local brews too, such as the Jungle Beer Kiasu Stout, a flavour crowned “Best in the World” at Beerfest Asia 2013. The name sounds like a men’s bar, the place looks and feels like a men’s bar, but all are welcome here for drinks and charcuterie platters. Pop culture lovers will enjoy the bar’s cheeky take on cocktail creations. These include the Walking Dead, which is topped with a fake eyeball, and For Whom The Bell Tolls, adorned with a paper plane torn from Ernest Hemingway’s book that inspired this drink. This is a great place for a tipple with your mates to enjoy a night of laughs and feel-good vibes. With amazing views of Chinatown’s heritage shophouses and temples, the alfresco La Terraza Rooftop Bar is highly popular with expats for after-work drinks and private events. Beer enthusiasts will love the Hoegaarden fresh from the tap, while cocktail fans should go for the mojito. Spaces are limited at this cozy joint so call ahead to make reservations. Calling all coffee lovers! Make a stop upstairs to chill at this living room-styled joint as baristas here are passionate about their caffeine and latte art- sometimes inviting guest experts to make a cuppa of any cartoon character you name. We also love their refreshing selection of cold drinks for hot afternoons, especially their iced Earl Grey tea with huge chunks of aloe vera to chew on. Chinatown is a bustling heritage town that exemplifies all that is Singapore– a mix of old and new, a blend of tradition and the 21st century. 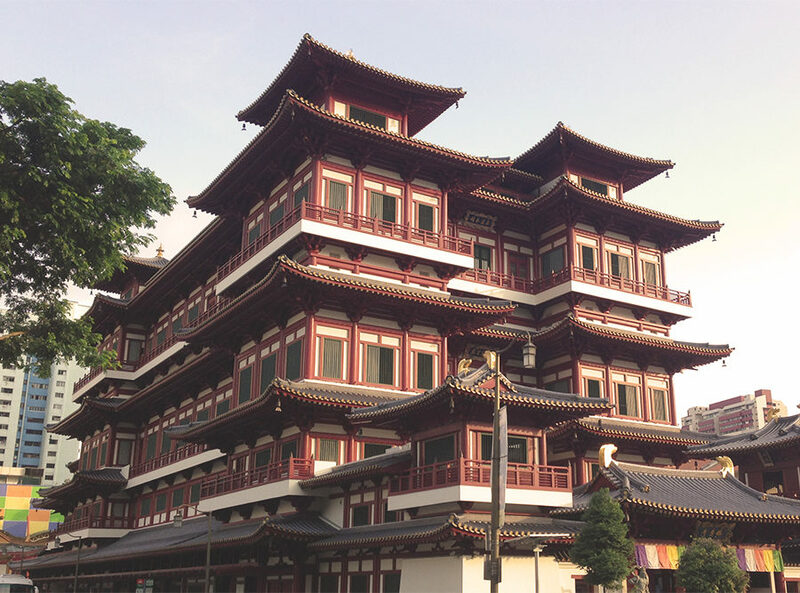 Enjoy a tranquil morning or afternoon at this 5-story temple to learn about the history and culture of Buddhism. You could also sneak a peek of the museum’s main treasure: Buddha’s left canine tooth relic, which is housed in a giant gold stupa on the 4th floor. We loved our visit! Singapore has been a multi-racial society since its founding, so Chinatown was never actually an exclusive sphere for the Chinese. Indians and Muslims lived alongside the Chinese from the very beginning introducing temples, mosques and churches to the area. 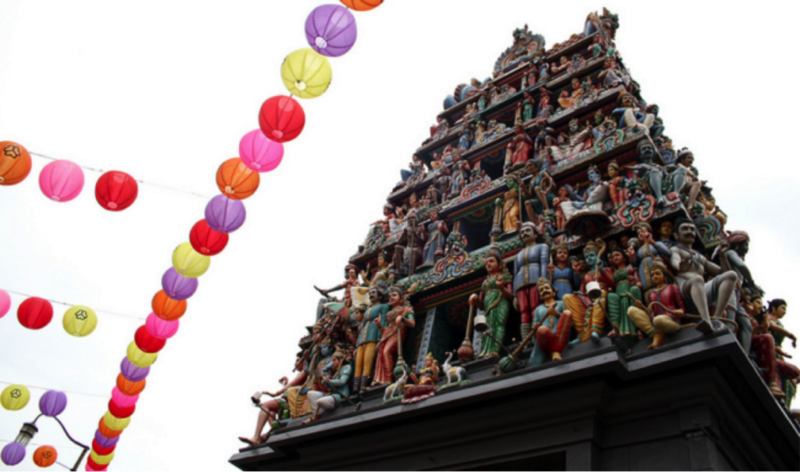 Today, you can visit Singapore’s oldest Hindu temple in Chinatown and be awed by its colourful Dravidian architectural exterior and gorgeous indoor ceiling paintings. Built in 1827 and now a national monument, the temple gets its name from the goddess Mariamman, whose power cures illness and disease. You can also visit the temple on a free walking tour! Take a break at Singapore’s official Speakers’ Corner, the only venue where public protests are allowed. 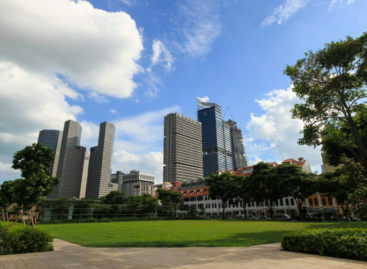 Opened in 1885, Hong Lim Park was the first public garden in Singapore and has been used for many election rallies and political speeches in the 1950s and 1960s. Today, it is famous for being the home of Pink Dot, an annual LGBT rights event. Visit this 49-year-old high-rise commercial and residential centre popular for its many tour agencies. Exchange your currency at the money changer on the 1st floor, which is known island-wide as having the best CNY, PHP, THB, MYR and HKD exchange rates. Join “Footprints of our Forefathers”, a free walking tour run every Saturday morning at 9.30am, to learn about the heritage of Chinatown through the stories and experiences of Singapore’s pioneers. Daily paid walking tours are also available in different themes, including “Clans & Associations”, “Custom Walking Tour” to visit traditional Chinese shops, and even a tour dedicated entirely to discovering food in this district.